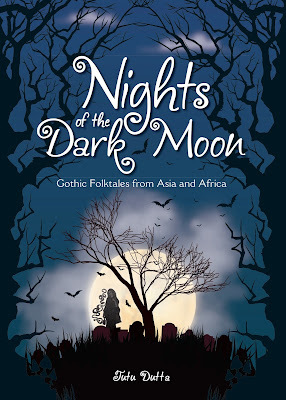 It's been almost a year since I wrote Saya and Diva - posted on November 11, 2012 - so I thought I should conclude the saga of the twin vampire sisters. The previous post ended with Saya swearing to destroy Diva and all her chiropteran minions. 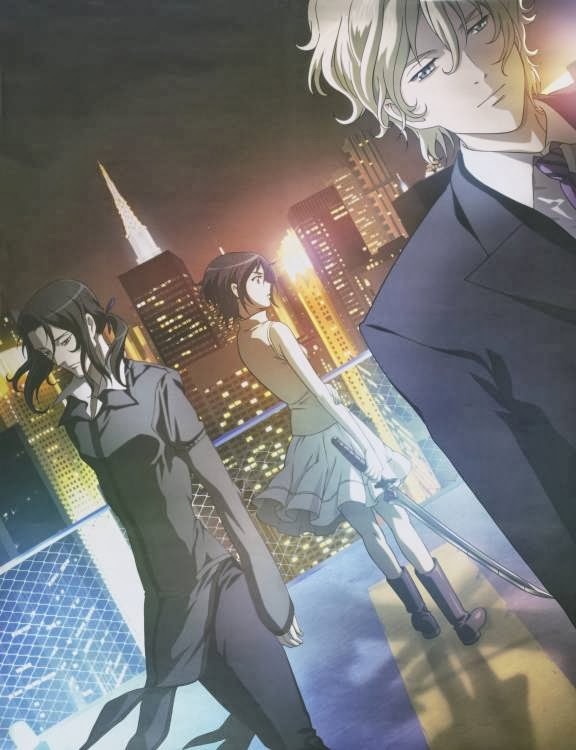 Each season of the four-part series has its own striking opening song: Aozora no Namida by Hitomi Takahashi, Season's Call by Hyde, Colours of the Heart by Uverworld and Raion by Jinn. The title 'Half-Blood Queens' is to counter fan blogs which insist that both Saya and Diva are full-blood chiropteran queens. Their mother was a full-blood chiropteran queen and there was nothing human about her mummified remains. In fact she must have been quite a terrifying monster in her true living form. She was probably the last of a race of vampiric chiropteran shapeshifters who could take human form. The cocoons Joel and Amshell Goldsmith removed from her, on the other hand, contained very human babies - clearly indicating a human father, most probably a chevalier. The fact that both Saya and Diva never reverted into a chiropteran in the most extreme of circumstances also indicate that they must be part human and being human is their true form. Fans also speculate that their mother must be blue-eyed and closely resemble Diva in her human form. I tend to agree. It's possible that the red-eyed twin was born to be a warrior while the blue-eyed twin was born to procreate. Although the focus of this post is on the overall story arc, I'm visiting one of the sub-plots in the series - Saya's two missions to Vietnam. Saya's first mission to Vietnam occurred during the Vietnam War and was horrifying. She was the equivalent of Weapon X and military scientists decided to wake her up prematurely from hibernation by giving her a blood transfusion. Saya went berserk and started attacking friend and foe alike in a military facility being overrun by chiropterans. She almost hacked off Hadji's hand and nearly killed one of Diva's chevaliers. The injury to Hadji was permanent and the injured hand could not revert to human form. Later she escaped from the facility and went on a murderous rampage. Hadji fled in despair and left Saya in the hands of George Miyagusuku, who took her to Okinawa and placed her in the family mausoleum to complete her hibernation. Saya later woke up naturally from hibernation and appeared to be a seemingly normal 16-year-old with a sunny disposition and no memory of her past. She was adopted by George Miyagusuku who already had two sons, Kai and Riku. 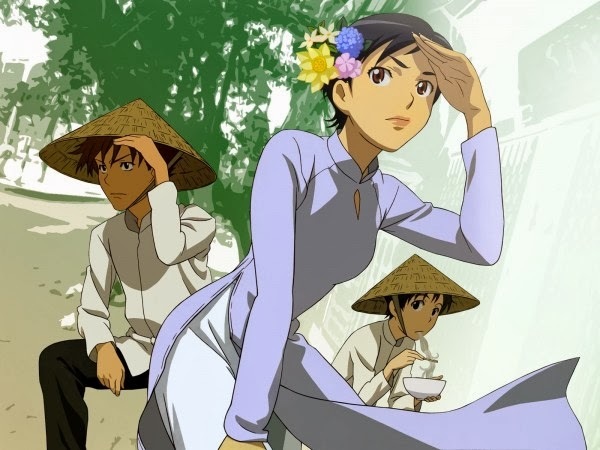 In her second visit to Vietnam, Saya went undercover as a school girl in the Lycee de Cinq Fleches, while Hadji posed as the gardener. 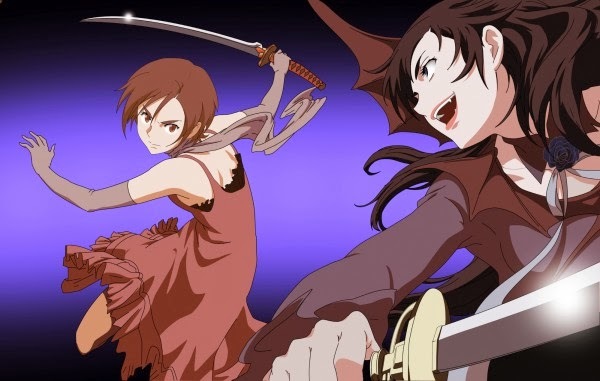 Red Shield decided to send her there to investigate the mysterious deaths of dark-haired girls through desanguination; girls who oddly enough closely resemble Saya herself. 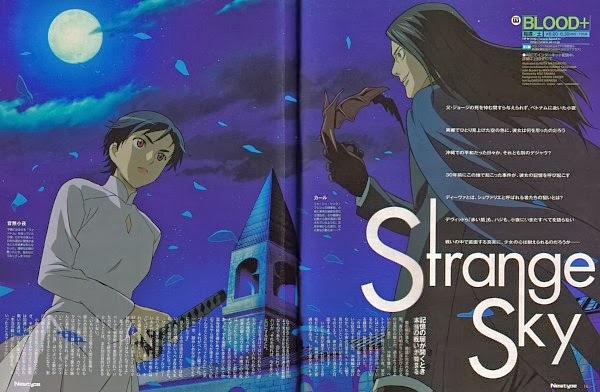 Saya managed to befriend a girl called Min who recounted to her the legend of The Phantom - a mysterious man in a cape who gives a blue rose to a chosen girl. According to the legend, the chosen girl mysteriously disappears... or more accurately, dies from blood loss. 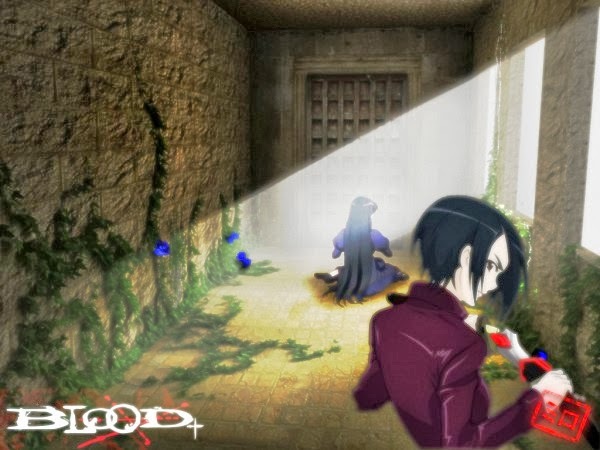 Saya and Hadji search the school ground after dark and one night, Saya actually ran into The Phantom who handed her a blue rose as his chosen one. Kai, Saya and Riku undercover in Vietnam. At a lavish school ball, Saya caught the eye of the most handsome and dashing man present - Solomon Goldsmith. Solomon was in fact one of Diva's chevaliers but neither were aware of the other's identity. In fact, Saya and Solomon actually felt a mutual attraction to one another. However, Solomon later overheard someone referring to her as Saya and realised that she was Diva's twin sister. The Phantom cornered her one night on the streets and during a fierce sword fight she uncovered the identity of the Phantom as Karl Fei-Ong, the principal of the school! Saya did not realise that he was also one of Diva's chevaliers. He was actually obsessed with Saya as she had almost killed him years ago during the Vietnam War. In fact, his obsession with her had led him to attack the Saya lookalikes in the school. But Saya had no memory of either him or their battle during the war. Karl felt intense bitterness and angst, and fled from the scene. We return to the main story arc - Saya, Kai and Riku are in France in their attempt to track down Diva. Since the death of George Miyagusuku during a chiropteran attack on Okinawa, Kai and Riku are under Red Shield's protection as well. They decide to visit the Zoo and its grounds with members of the Red Shield. While there, Riku hears the beautiful voice of a woman singing and is lured into the tower. It is of course Diva. 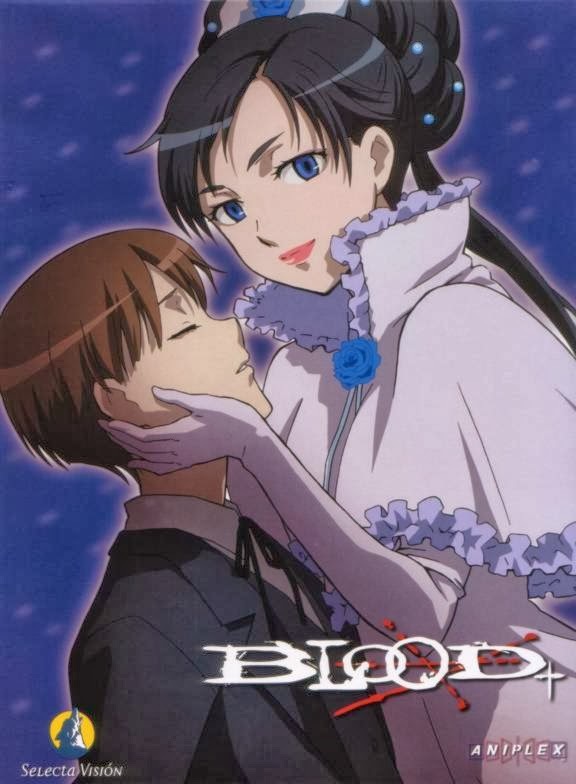 In one of the most harrowing episode of Blood+, Diva attacked Riku and drained his body of blood. Perhaps Diva attacked Riku because he was the most vulnerable member of the team or perhaps she knew that attacking Riku would be the one thing which would push Saya over the edge. When Saya discovered Riku covered in blood and close to death, she almost went berserk again. She sets out to hunt Diva down but Kai called out to her and his voice somehow managed to restore her control. They take Riku to safety and Saya was again faced with an impossible decision - she decided to save Riku's life by giving him her blood even though it means turning him into one of her chevaliers. After the attack on Riku, Saya corners Diva in the tower of the Zoo. Solomon Goldsmith, managed to warn Red Shield agents that Diva and her chevaliers will attack them again. They leave France and seek refuge in the Red Shield headquarters, which is actually a battle ship at sea. 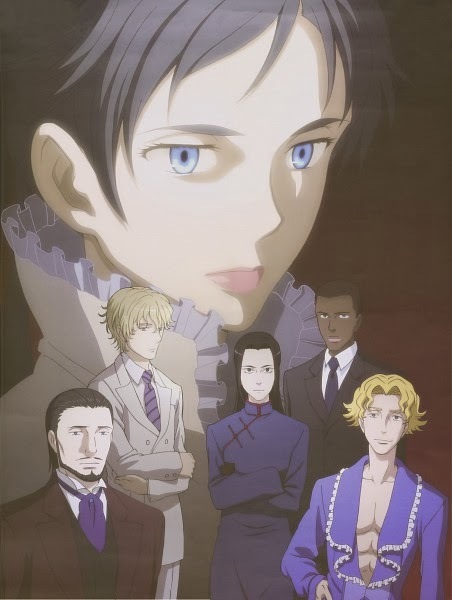 Riku's transformation into a chevalier creates tension among the four friends - for one thing Riku developed feelings of jealousy towards Hadji and of Saya's relationship with him. 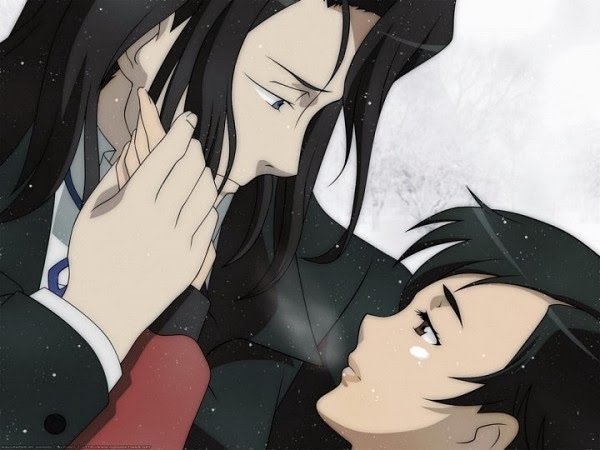 Kai also experienced intense difficulty in accepting that his younger brother is no longer human now. 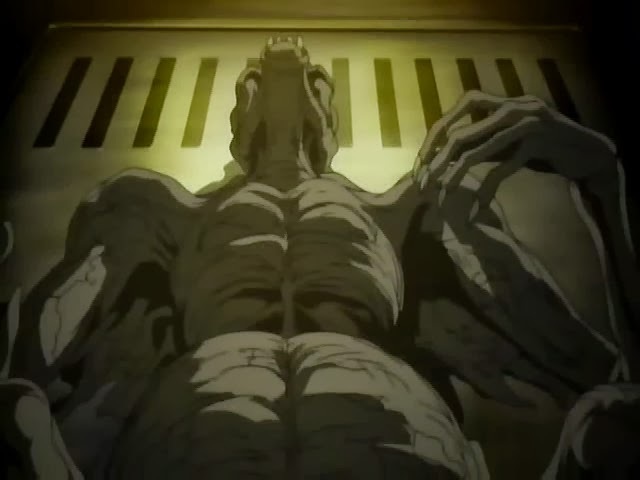 His loss is almost akin to grief and he blamed Saya for it. Riku however managed to allay his misgivings. Diva's chevaliers track them down and attack the ship. Although Riku was told not to get involved, he felt compelled to protect Saya and joined the battle. Diva's chevaliers are surprised to find out that Saya has created a second chevalier - Riku. They return home to tell their queen of the new development. In a shocking turn of events, Diva and Karl board the ship at night. While Karl distracted everyone, Diva lured Riku into an empty cargo hold and seduced him. She also took his life by giving him her blood. In another harrowing scene, a horrified Saya discovered Riku's dead body which was slowly crystalising. There was nothing Saya could do to save him. Sick at heart, Saya and Hadji abandoned the ship. The ship was blown up by Diva's chevaliers but Red Shield members managed to escape in life boats. However the leader of Red Shield, Joel Goldschimdt IV, was critically injured. Kai managed to salvage a shard of the red crystal and wore it around his neck in remembrance of Riku. The final stage was set in New York City, a year after the destruction of the Red Shield ship. Red Shield members have set up a base in the city; Joel Goldschimdt had survived the attack on his ship but was now confined to a wheelchair. They also managed to discover Diva's and Amshell's master plan - to turn the whole world into chiropterans (somewhat far fetched) through the live telecast of her singing at a concert hall. What they did not know was that Diva had conceived and was carrying twins. Judging that they were ready, Amshell Goldsmith removed the twin cocoons from her womb to feed them with blood. Team Saya regroup in New York City. Saya and Hadji made an unexpected appearance in New York when Kai and Red Shield agents are attacked by chiropterans. 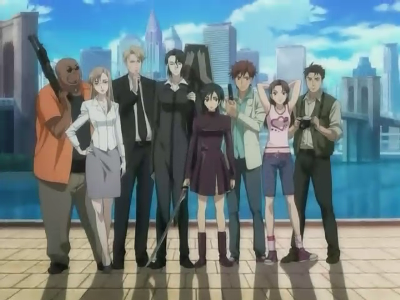 Saya destroyed them and the team regroup in a large apartment. Meanwhile, Solomon Goldsmith, who now openly admitted that he was smitten with Saya, abandoned Diva and moved into his own apartment in Manhattan. He also managed to abduct Saya, who was entering her hibernation phase again and was no longer in peak form. Saya was in a dark place; she felt drained from her battles with Diva's cohorts and the harrowing experience of losing Riku. Saya's abduction led into open confrontation between Solomon and Hadji. In the end Hadji prevailed by revealing a powerful but hitherto unseen winged form. Hadji brought Saya back to the Red Shield group. Saya finally acknowledged her need to feed on her chevalier's blood to regain her strength in the final confrontation with Diva. She also reminded Hadji of his promise to her - that he would kill her the day she managed to kill Diva so that the world would be safe from chiropterans. The final confrontation took place at a magnificent concert hall. An epic battle between the two sisters ensued since both were evenly matched. In the end, they both ran through each other with their swords - coated in their own blood. It should be noted that the blood of one sister is fatal to the other. However, Saya survived the ordeal as it turned out that Diva's blood is no longer toxic to her. Apparently, Diva's own body had to neutralise her blood in order for her to bear Riku's children. As Diva's body crystalised, Saya was again overcome with sorrow as she held her dying sister in her arms. At that dark moment, Saya decided to kill the twins still wrapped in their cocoons before taking her own life. However, Hadji confessed his feelings for her and begs her to live. Kai begged her to live as well and to spare the twins, promising that they would not be used by anyone. Saya finally admitted that she wanted to live as well. The series ended with Saya in deep sleep in the Miyagusuku mausoleum in Okinawa. Kai, accompanied by twin six-year-old girls, visited her often. A blue rose with a red ribbon has also been placed near Saya - a gift from Hadji, who kept vigil from a distance.